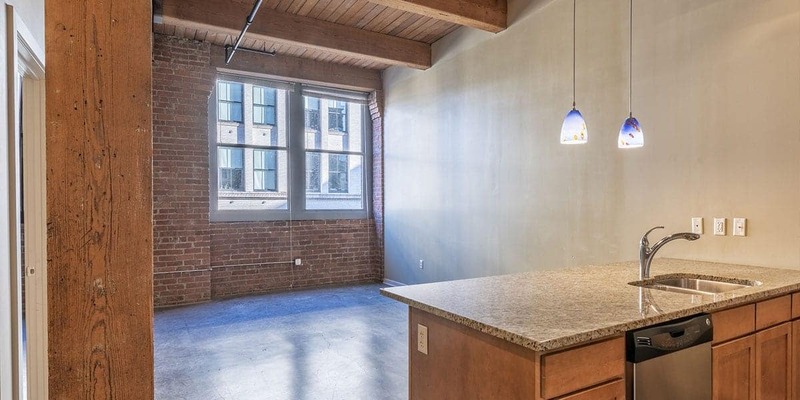 Fountains Lofts is an eight story heavy timber building located in the heart of the historic Garment District. Built in 1903 this structure is now designated on the National Registry of Historic Places. The beauty of this building is not only derived from its historic charm; it is also in an ideal location. Surrounding the Fountains Lofts are some of Kansas City’s greatest sights and sounds. Experience the vibrant culture of the River Market or the excitement of the Sprint Arena and Power and Light District. These attractions are well within your reach from Fountains Lofts’ centralized location at 8th and Broadway. A pampered city life awaits you at this luxurious development. From its breathtaking balcony views to its modern amenities, this distinctive home will cater to you!